You’re in a new place and don’t know anyone (except maybe your partner), so how do you fit in? How do you find that group of friends? How do you make friends as an expat? You might wonder how you made friends at home. But then you realize that you met them at school, work, or some fitness class. Maybe you made friends from other friends, too. But now you are starting over. It’s a challenge, but not an impossible one, to make friends in a new place! 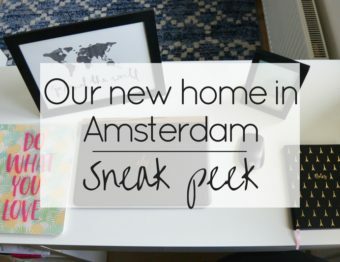 I knew literally one person when we moved to Amsterdam, and that was a friend from high school from over 10 years ago (yep, I’m old! )…and I had not seen her since. It was so nice to see her again, but she doesn’t live in town so we couldn’t hang out much. This meant I really needed to find my own new friends, so first thing I did was join Meetup.com. 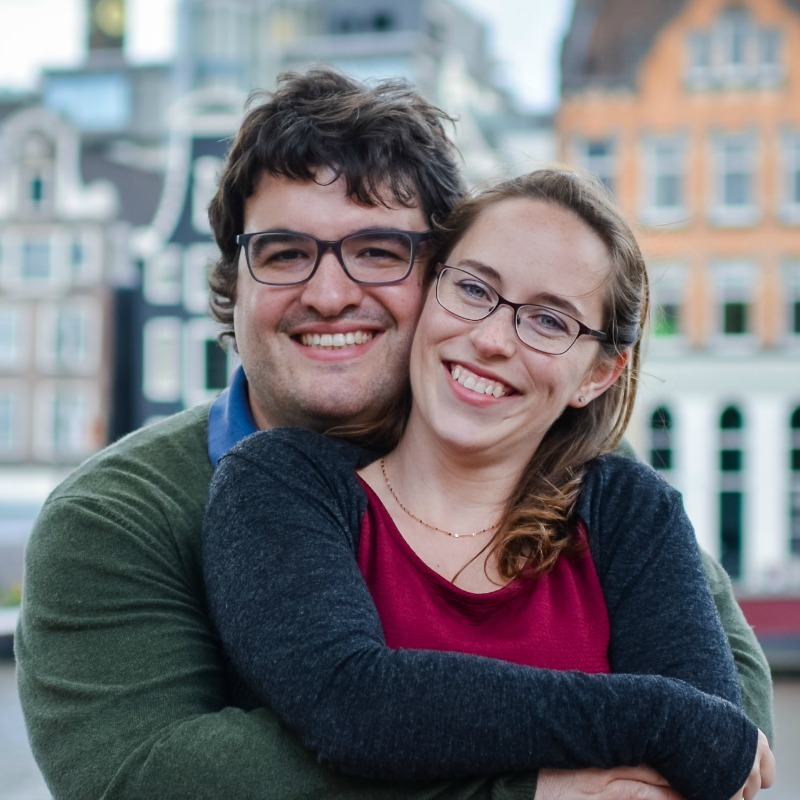 We are lucky that it’s easy to meet people in Amsterdam because there are many meetups scheduled and quite a few for expats. 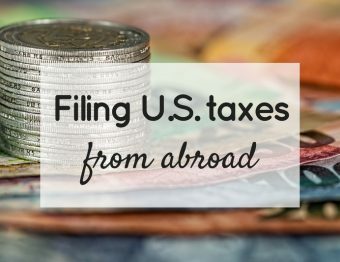 We knew that we wanted to meet the locals as well as other Americans and other expats, and this was a great place to start! We decided on the bowling event to try this meetup thing. To our surprise, the event had people from all over the world, including locals! Ironically, the first person we met there was another American guy who we are now close friends with. Throughout the evening, I became friends with an Indonesian woman who lives here permanently, too. Amsterdam is full of beautiful diversity and it’s so nice to be part of that! We joined The Library(now Clone 42) less than a year after it opened. It’s a wine shop owned by one guy who is Dutch and one guy who is American–both are great and so nice. They love to host events where people get to know each other, buy wine, and have a good time. Of course, that’s right up our alley! It wasn’t long after that we made some great friends and really enjoy catching up at different events throughout the year. Depending on where you are settling, there might be a travel blogger near you! I follow a few of my favorites and I saw Agness from etramping.com was in Amsterdam for a while. I sent her a message and we met up one day! We now try to stay in touch regularly and I love to see what she writes about the city I live in and adore as she continues to travel the world. Meeting up with people who are constantly traveling is so much fun! Danika and Chris from No Destinations have been by many times and we got to catch up with them twice. I feel so lucky to meet some of the nicest people and get to show them Amsterdam! As I continue on this blogging journey, I tend to see most of these friends at conferences, but it’s still great to have a group of people you relate to when you’re traveling around! 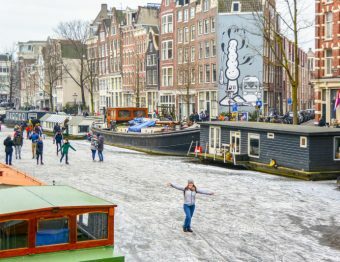 Fair warning, I have not actually been to the Amsterdam meetup, but there is a meetup for Redditors each month which I have heard good things about. If this is an option in your area, I would suggest you take advantage of it! And knowing Redditors, they are a pretty social bunch, so I’m sure you can make friends even before moving. So put out those feelers and see who you can meet. We went to an expat fair not really knowing what to expect. I mean, the idea that there are so many people who want to connect with people like us was a little confusing. But there they were: dentists, housing options, alcohol companies, agencies with the city, realtors, the list goes on and on! We met our friend Tiffany (an American) at this expat fair because she was working at the event. The funny thing for us was that she mentioned she didn’t have any American friends at the time. I feel like we meet so many Americans all the time! But making friends are a different story–not everyone you meet must become a big part of your life. That’s okay! Somehow we meet Tiffany and became friends, then we had Thanksgiving and Christmas together. I am very grateful for her friendship! Sometimes you just need someone a little more like you to talk to, you know? Special movie nights, interesting festivals (like wine! ), World Pillow Fight Day, etc. are all fun events where you can be social, talk to people and build that new circle of friends. The key is to put yourself out there and in a position to see new people that you may not otherwise run into. You’ll be surprised at what might happen! I’ve never been a big sporty active person but I have many friends who are. What’s better than joining a running group, yoga class, dance workout, or even a bowling league to make friends? You’ll get close to people pretty quickly if there’s something you can attend each week. Soon enough, you’ll be meeting up for juices and movies outside of your initial group with people you’ve really connected with. Moving to a new place can be super stressful. There’s so many things people don’t think about and what people forget to tell you. 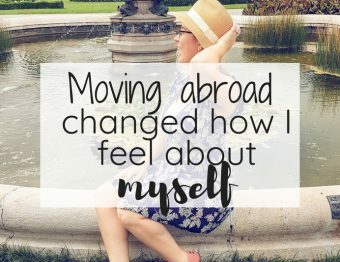 I’ve written two posts on these topics called What they don’t tell you about moving abroad: Part one and Part Two. One of the things you’ve probably thought about but might be nervous about is learning a new language. It’s intense for sure. But through that shared struggle, most tend to find some friends along the way. Bonus: practice buddy! It’s inevitable. You’ll make friends at work. I’ve always tried to separate my worlds…I call them my bubbles. Work bubble, school bubble, family bubble, spouse bubble, friend bubble, networking bubble. But, you know…the world isn’t black and white and you could work with some pretty amazing people. I absolutely adore some of my colleagues and I’d say they are the best part of work. Working with people you trust and who “get” you is pretty spectacular. There are a few interesting organizations in Amsterdam and you will likely find similar ones in major cities around the world! Toastmasters is one that people tend to really enjoy. They meet lots of great people and brush up on public speaking skills. Then we have clubs like the Amsterdam American Business Club which is super active and works with businesses around the city. Do a Google or Facebook search for clubs that might appeal to you. If something like this doesn’t exist in your city, make it happen! It may take a little bit of digging to find something, but when you do, it can be a great way to try new restaurants, new cuisines, learn how to cook, etc. I just love the possibilities this offers. Even if you already have a friend and they invite a friend, then they invite a friend. Are you a woman who loves to travel, is an expat, or just loves being around those that do? Then Girl Gone International is a wonderful and inclusive group to be part of. In Amsterdam, they organize through a Facebook group which makes it all super convenient. Ours will gather for brunch or after work drinks mostly, but other events pop up as well! Internations is made specifically for expats which has its pros and cons. I’ve never been to an event because I’ve done so many of the other events above, but many people really enjoy it because it’s super active and they seem to organize unique events. This is a great place to network and get your name out into your new city! Meet friends of friends! Use the above methods to meet a few great people and grow from there. Overall, just make an effort to be social. Since we moved, I’ve made acquaintances/friends from business owners, friends of friends, and fellow Yelpers, so you never know where you will make that connection. Whether making new friends in Amsterdam, or anywhere in the world, there are always opportunities. Don’t just sit at home — go meet people! Yes, this tips can really work as making connections as an adult in general. 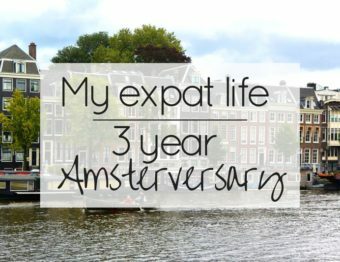 But since we are finding our way through expat life right now, we thought it made the most sense to write it this way. Great tips! Will be working on some of these myself! So glad they helped! You live and learn, right? Good luck!! We found our first friends through Meetup.com and an expat bowling group! It is so much fun. I know that not all ideas listed are available for everyone, but hopefully they help with ideas. My husband is the Redditor, not me, but those Redditors seem to practically run the world! Some really good advice – thanks! So glad you found them useful! Have a happy weekend! Great tips! It’d be great if Meetup was available everywhere- I envy other countries for having it (successfully). Sporting events are a great place to meet new people, especially if your area has a club you can join. That’s where I’ve made all my new friends here in Bahrain. Yeah, it’s hard to write something like this that is valid everywhere. But I’m so glad you mentioned sports clubs! I didn’t think of it because I’m not sporty at all. That’s such a great tip. Thanks so much for sharing! 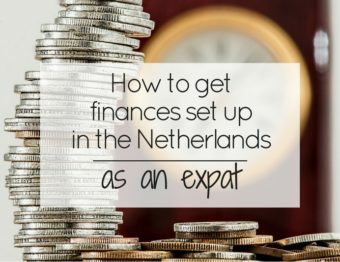 Great tips – it’s one area of expat life that hits hard and you realise just what you have left behind! Very true, but it’s also an amazing feeling when you make new friends with varied interests from around the world. But nobody can replace friends from home! You’re missing Couchurfing, which is a mayor contribution to meeting people in general but also meeting people with a specific shared interest. In Amsterdam they have meetings on Friday and Saturday in a bar called Joe’s very close to Dam square. About 100 people every meeting of which 50 are new. Great tip! I’m not part of the Couchsurfing community, so I was unaware of this. Thank you for sharing! Hi there, you have some great tips here! Making friends is something I’ve struggled with during my time in France but I haven’t given up. 😉 I think it can be easier in a bigger city — more to do and more potential people to meet. I’ve met all my acquaintances at my gym, thank goodness for my gym! I’m so glad you have the motivation to go to your gym! And I completely agree. Bigger cities do offer more opportunities to meet people. So glad you are not giving up! Thank you Jessica and keep posting nice articles!! AMS Connected is such a wonderful group. Everyone speaks so highly of it! Thanks for planning unique and great events! Talk to people? That’s an interesting one. As a friend told us once, “you find your tribe.” That is so true. We’ve lived in multiple places now and thanks to running and owning dogs, we’ve met some really terrific people. Advice to runners moving to a new place, check out your new local running store to see if they have a group fun run.